A-Z Recycling: What can be recycled and where do I drop it off? Not recyclable? Here is our price list for other items. Aerosol Cans – Any Aerosol can that contained a hazardous material and are empty should go in the trash. Aerosol cans that have material in them must be disposed of at a Household Hazardous Waste Event. Ammunition– Road Flares, Shock Sensitive Materials, Fireworks, and ammunition will not be accepted at the Transfer Station even during a Hazardous Waste Event. Call the State Police at 802-244-8727. AntiFreeze – Is taken daily at the Bethel/Royalton Transfer Station. For quantities over 10 gallons call Safety Kleen @ 802-479-1200. Asphalt Shingles– These are accepted for a fee and they go into a separate roll off. Batteries – Batteries are accepted at the Bethel/ Royalton Transfer Station. There is a $1.00 fee for car batteries no charge for rechargeable or alkaline batteries. Books– – If books are in good condition They can be put on the free table. If there is no room they can be put in the big cardboard box across from the free table. If books are wet or otherwise compromised they are trash and there is a fee for all trash. Magazines go into the recycling bin. Bottles and cans– are both recycled. Wine bottles and pickle jars are recycled in the center overhead. Carpet and pads are trash. Cell Phones – Phones are accepted for a fee. Christmas Trees – Are accepted for a $10 fee. They are to be placed with Yard Trimmings. 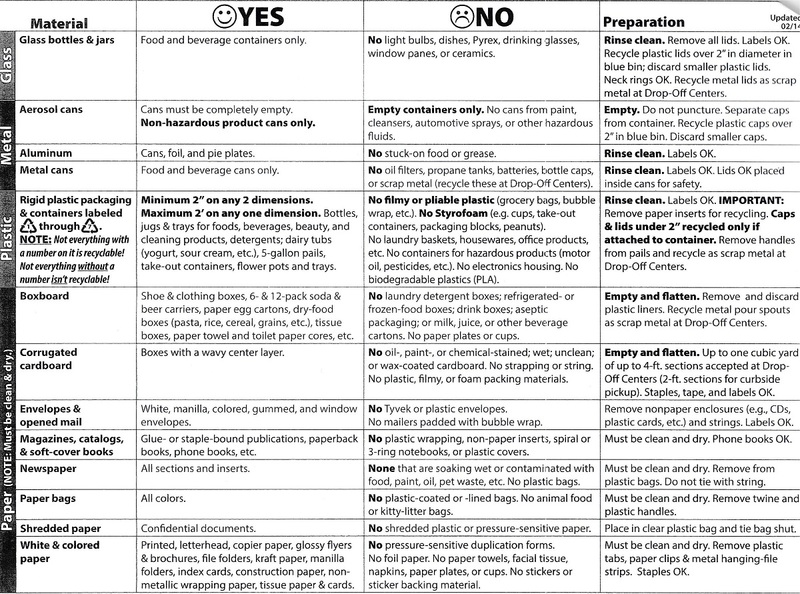 Cleaning Products – Are to be brought to the Household Hazardous Waste Events. Clothing and Textiles– are accepted at the Bethel/Royalton Transfer Station. Clean dry clothes and fabrics only. Computers, TVs, Monitors, Keyboards, and accessories are accepted free of charge to VT residents and businesses with less than 10 employees. Doors and windows will be accepted as construction debris. Egg Cartons – are accepted free of charge in yellow tubs in the recycling center. They are placed there for anyone with chickens to reuse. Fluorescent Bulbs, Lamps – are accepted at the transfer station free of charge. Gasoline and Oil or Antifreeze Mixtures – These are hazardous waste and will only be accepted during Household Hazardous Waste Days. Glass Bottles and Jars are recycled. Household Hazardous Waste Days – are open only to the households located in the White River Alliance district. This includes Bethel, Barnard, Hancock, Granville, Pittsfield, Rochester, Royalton, Stockbridge. Conditionally Exempt Small Quantity Generators are also allowed. Latex and Oil Based Paints – are recycled at the transfer station free of charge. The restrictions are that it be ONLY paints and stains that are brought in. If the contents of the can are dry it becomes trash. No more than 10 gallons from any household at any time. Mattresses and Box Springs – are accepted for a fee. If you bring only a Mattress and Box Spring the fee is $12. Needles for Medicine – Individuals only. No medical practices or animal hospitals will be accepted. Place needles in a heavy plastic container (think liquid Tide) and mark it SHARPS. These will be dealt with as trash. Metal Scrap – scrap is accepted for a fee. NO oil or gasoline can be in any scrap. PROPANE TANKS ARE NOT METAL SCRAP. The fee to dispose of propane tanks is $5 for 2# tanks and $10 for 5-20# tanks there is a cage for placing these tanks inside the recycling building. OIL – Is accepted at the transfer station there is a fee. Pallets – Pallets are accepted at the transfer station for a fee. Pharmaceuticals – contact the VT State Police 802-234-9933 DO NOT flush them down your toilet. DO NOT put them on the free table. Thermostats – are accepted at the transfer station. Please ask at cashiers office no fee. Tires – recycled at the transfer station for a fee.